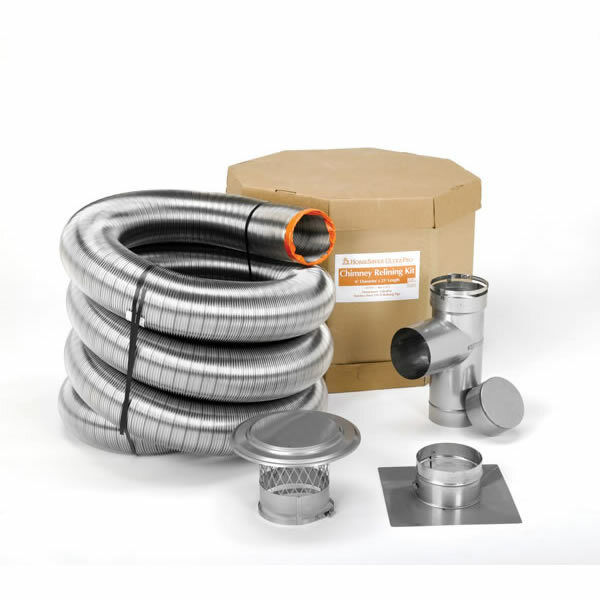 A liner kit should provide all the necessary parts to complete the project, and that's just what you get in this chimney liner kit by HomeSaver. You get 25 feet of 4" diameter UltraPro chimney liner, which is two to three times stronger than other 0.005" liners. You also receive a 13" x 13" collar plate with attached band connection, a rain cap for the collar plate, a tee with a 10" removable take-off and band connection, and the necessary tee cover.